Need a place to hang out that is comfortable and protects you from the sun and insects? Check out TreePod. 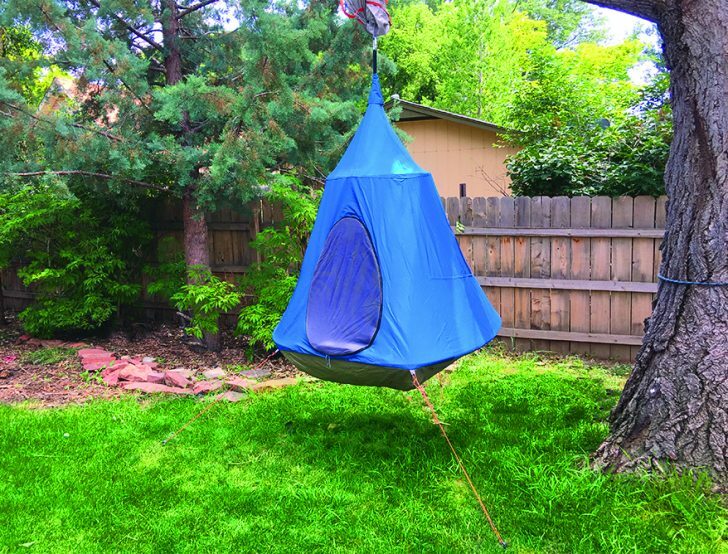 Colorado company Hanging Habitats came up with a cool design that melds the benefits of hammocks, chairs and tents into a hanging pod that offers the perfect space to relax suspended off the ground. The original TreePod was geared toward kids, an instant treehouse for play. Since launching with a successful Kickstarter campaign in 2015, TreePod has evolved to offer additional sophisticated designs for use outdoors as well as in the home, with a variety of models to accommodate all ages and uses. 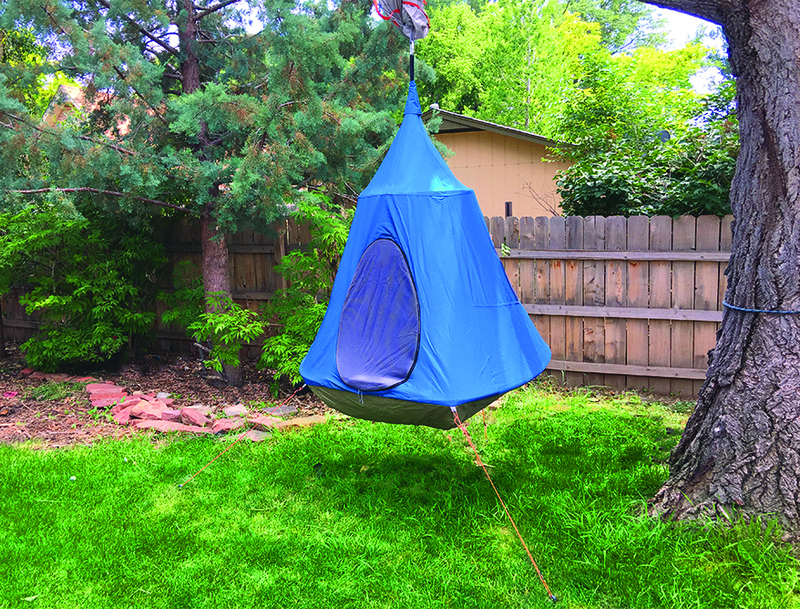 Imagine all the “hanging-out” you could do in a TreePod Plus. At camp, on the beach or at home, this 5-foot model features improved fabric and seam taping for increased water resistance, and the inclusion of both mesh and fabric layers for doors and windows provides maximum options for comfort in this hanging hideaway. Check out all of the TreePod models and accessories on their website as well as on Facebook and Instagram.